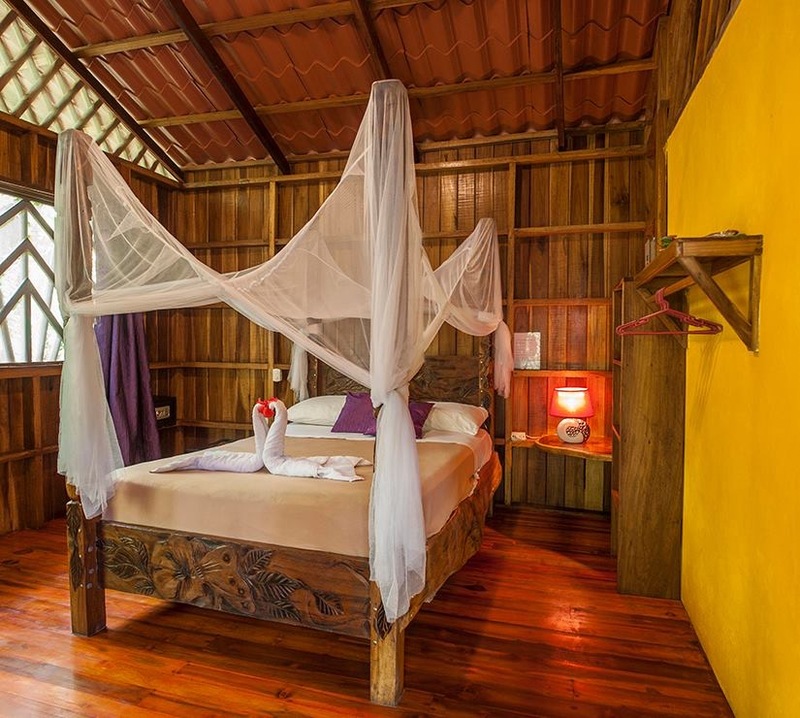 With the retreat center being located in the jungle, monkeys, toucans, sloths and other wildlife that inhabit the area are often seen on the property. 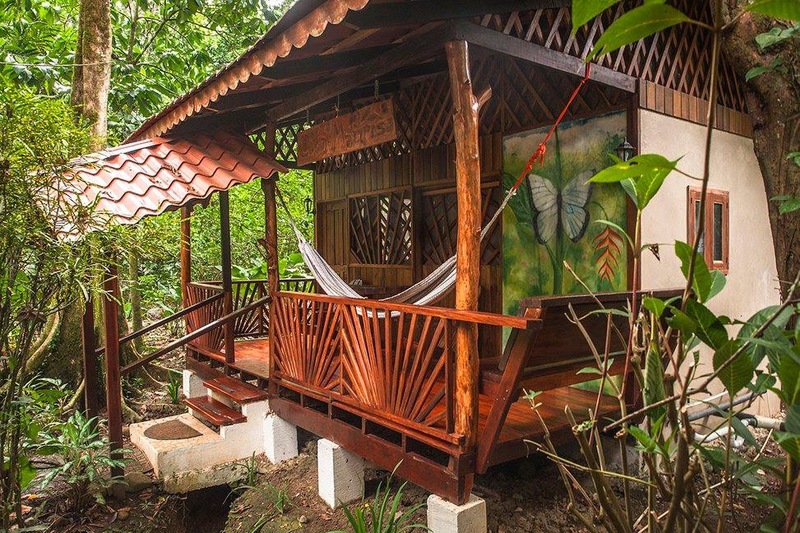 Not only will you experience the relaxing and refreshing tranquillity of the retreat centre, you’ll also get to explore the beauty and adventures that Costa Rica has to offer. Re-inflate and invigorate your inner space- energize your creativity through Buoyant yoga. This practice has been developed through my 30 years of research and experience in the somatic practices. A combination of Bartenieff Fundamentals, Pilates, Vinyasa Flow Yoga, and Chi-Gung will allow you to calibrate your limbic system. 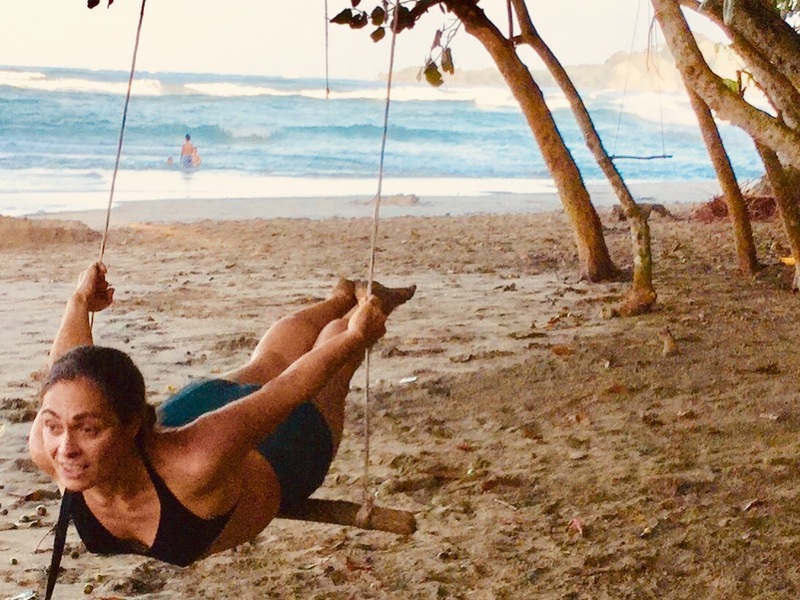 Performing these movements on the sunny beaches of Costa Rica will help deeply connect your body to the nature around you. BF based warm-up enhances our mind-body connection and facilitates releasing the habitual tensions we hold. Through breath awareness and support we deepen into our body’s resources accessing our tensile, dynamic alignment and core support. Maintaining our focus on our inner physical well being through our breath we will move through yoga asanas that challenge our cores, lubricate our joints, and stretch our muscles. Moving from the ground through quadruped to standing we change our orientation to gravity- learning to support ourselves efficiently. During standing exercises we work on balance, weight shift, and gait. The class and exercises are modified to accommodate for each individual. 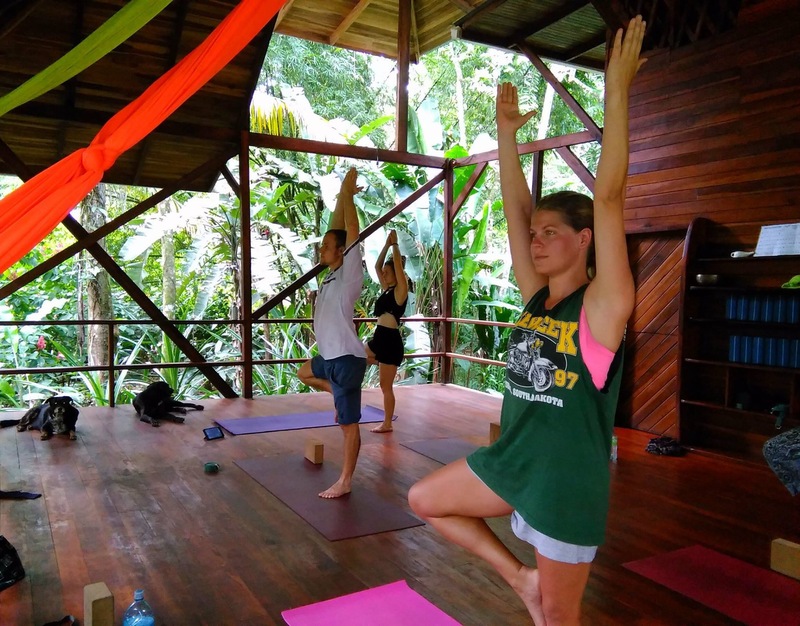 Aside from our yoga practices a typical day includes lounging in hammocks, bike riding, wading in the gentle Caribbean waters, and snorkeling at the National Marine Reserve. Not to mention viewing sloths snoozing in the trees, tree swings, a tension tight rope, and a contemplative site specific jam. 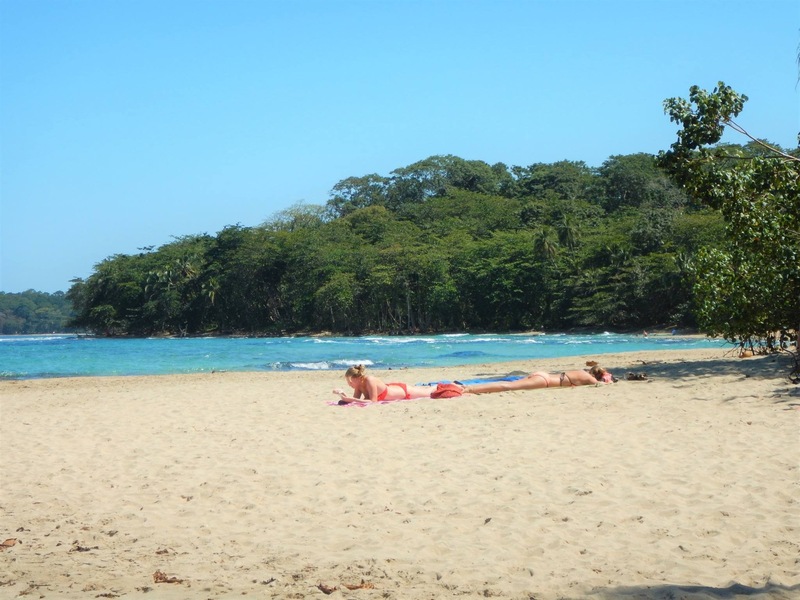 There will also be day trips to Jaguar Rescue Center and Puerto Viejo. Private classes are also offered and modified to the individual’s preferences. Investment: USD $1300 for lodging, meals and workshop. A deposit of $650 is required to reserve your spot(s). Flights and transportation to and from the retreat are separate. Group shuttles from the San Jose airport are available and can be arranged by Despina. Email despinasophia@hotmail.com OR call Despina (646) 418-0582 for more details and to book your spot! Despina Sophia Stamos is somatic practitioner that has been teaching in NYC and internationally since 1994. Stamos’s work integrates her studies of Yoga, Pilates, Bartenieff Fundamentals, chi-gung and dance and uses these modalities to improve your exercise experience. Stamos studied Pilates with Cary Reagan and Shelley Studenberg. Bartinieff fundamentals with Dr. Martha Eddy and Leslie Powell, Ashtanga Vinyasa, and Iyengar yoga, Chi-gung with Daria Fain. Stamos’ study includes in-depth study of anatomy with Gil Hedley. Stamos has been certified from the American Council of Exercise since 1994. She holds certifications for yoga, Pilates, exercise for special populations. Looks fabulous and I hope to join you in some exercise some where sometime! At the moment I am on an island in Thailand! Lots of love to you and yours! !